Roland Sebastian Martin is a journalist, columnist, and author. Martin was on born November 18, 1968 to Emelda and Reginald Lynn Martin Sr. in Houston, Texas. His maternal great grandparents emigrated from Haiti to the United States where they settled in Louisiana. Martin graduated from Yates High School in Houston in 1987. After high school, he attended and graduated from Texas A&M University in College Station Texas with a BS in Journalism in 1991. Martin joined Alpha Phi Alpha Fraternity Inc. while at Texas A&M. After graduation, Martin worked at the Austin American-Statesman in Austin, Texas and then became a city hall reporter the Fort Worth Star-Telegram in Fort Worth, Texas. In 1995, Martin became a sports reporter for KRLD Radio in Dallas, Texas. During his time working with KRLD radio, Martin won the sports reporting award from the National Association of Black Journalists along with honors from the Houston Press Club. Martin was also a news editor and morning anchor of KKDA 730 Radio in Dallas and an editor at Dallas Weekly. In 1991 Martin first received national exposure when he became a contributor on Lead Story, a Black Entertainment Television (BET) morning news program. In 2000, Martin, working as a freelance reporter, covered the Democratic National Convention in Los Angeles while he suffered from a ruptured appendix. His medical expenses led him to file bankruptcy. In 2001, Martin became the first editor of blackamericaweb.com which was founded by national radio personality Tom Joyner. In 2004, Martin began working for the Chicago Defender, then the nation’s largest African American newspaper, while serving as a radio talk show host for WVON-AM in Chicago, Illinois. In 2007, Martin joined CNN as a contributor. A year later, he earned his master degree in Christian Communications from Louisiana Baptist University, a Christian university located in Shreveport, Louisiana. Martin left CNN in 2013 to become host of News One Now for the network TV One. News One Now is a show directed primarily to African American viewers and covers contemporary topics such as racial discrimination, police brutality, and political issues related to the black community. Known for drawing controversial guests, Martin interviewed and debated white supremacist Richard Spencer who later was one of the leaders of the alt-right groups which met in Charlottesville, Virginia in August 2017. Martin continues to host News One Now into 2017. 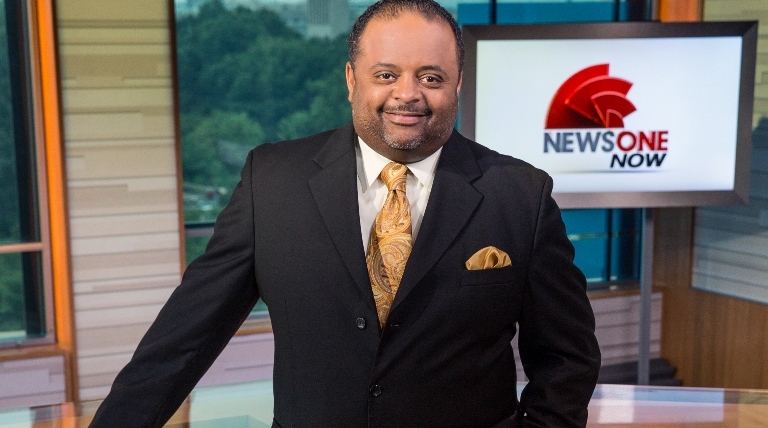 Roland Martin has won numerous awards. Ebony magazine named him one of 150 Most Influential African Americans in the United States in 2008, 2009, and 2010. He was the 2008 winner of the NAACP Image Award for Best Interview because of his conversation with then presidential candidate Barack Obama. Martin won the award again the following year with his White House interview of President Obama and First Lady Michelle Obama. Martin married Jacquie Hood in 2001. The couple have no children. “Roland Martin,” Roland Martin, http://rolandsmartin.com/about-roland-s-martin/; “Roland Martin,” Article Bio, http://articlebio.com/roland-martin; “Roland Martin,” The History Makers, http://www.thehistorymakers.org/biography/roland-martin.